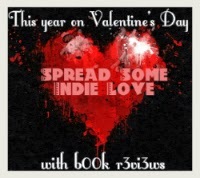 Mina Esguerra is a prolific indie author who writes fun and exciting romances. She's also a generous writing instructor who offers online classes for free to new and aspiring writers. I became acquainted with Mina through one of her students and have since read several of her stories, Welcome to Envy Park, Playing Autumn, and That Kind of Guy. I'm also looking forward to reading her complete Interim Goddess of Love Trilogy. 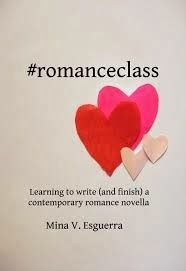 Last year, she led an online #romanceclass that provided the basics for several of her class members to publish romantic novellas. I've read and enjoyed three of them, Save the Cake by Stella Torres, Vintage Love by Agay Llanera, and Over Her Head by Anne Plaza. Mina documented her class notes in a handy little guidebook. If you've ever wanted to write a romance, pick this up, work the exercises (or not), and get going! This year, she headed a #buqosteamyreads class, of which I'm a remote member of. I took the challenge and wrote a 52,800 word "Steamy" romance Taming Romeo in 15 days and published it yesterday. It was a lot of fun and I highly recommend Mina's methods of writing short, cute, and fast. Mina herself is also writing a hot story for the class and I'm looking forward to seeing what she comes up with. 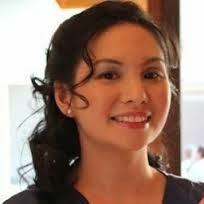 Mina currently lives in the Philippines, but she has lived in the United States and her writing reflects her knowledge of both American and Filipino culture. To check out more of Mina's books, go to Mina's Amazon Author Page , Goodreads page, or her website, Publishing in Pajamas. I love to support authors who love to write and are willing to publish their own work!